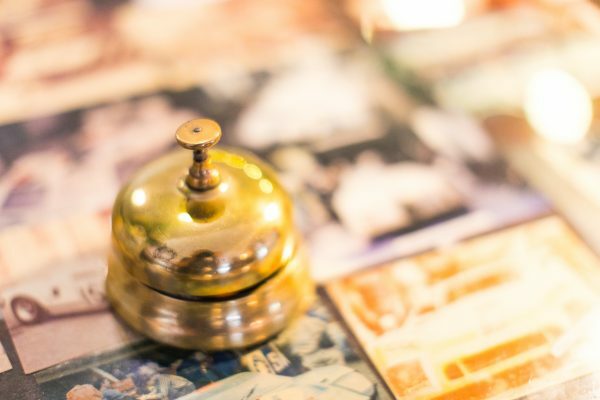 We want you to thoroughly enjoy your time at Hotel de France so we go the extra mile to make your stay supremely comfortable and relaxing. 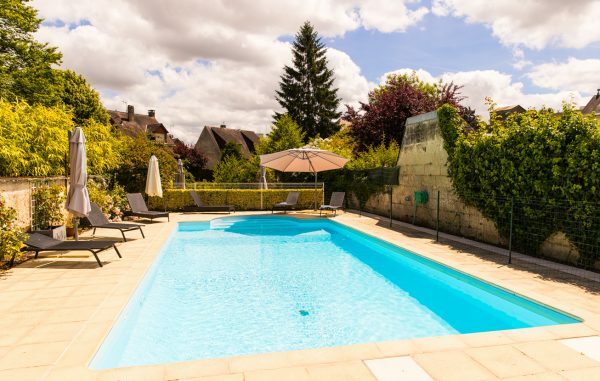 Sip an ice cold Pastis or freshly ground coffee alongside the hotel’s glorious 10 x 5 metre pool. Set in a private walled garden, its turquoise waters and comfortable sun loungers, stacked with fluffy white towels, guarantee a shot of simple hedonism. Our wonderful masseuse is bookable in advance. She’ll smooth knotted muscles and soothe the world’s worries, leaving you energised and ready for anything. Highly skilled in Swedish, Californian and Korean massage, she also has a unique ‘intuitive’ massage which combines the best of these techniques to suit you perfectly. Sessions run from 30 minutes for a quick pick-me-up to a full 1.5 hour session for the ultimate indulgence and relaxation. Inspired by the sea and made with extracts of freshly collected Brittany seaweed, our range of Algotherm toiletries is supplied throughout the hotel. These gorgeous, nutrient-rich products respect the environment and marine ecosystem and are paraben and phenoxyethanol-free. Bicycles (including electric bikes) are available to hire, by prior arrangement. 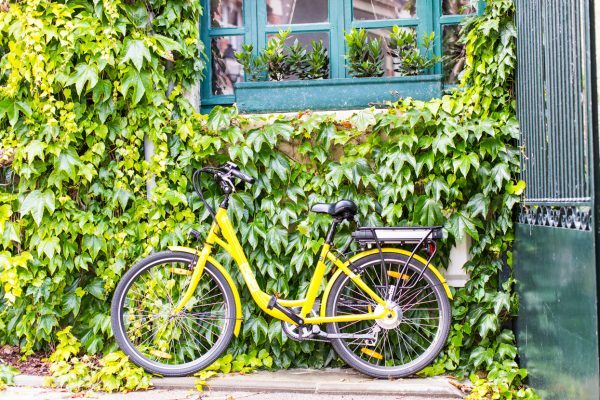 The hotel’s multi-bike trailer can be reserved to transport cyclists to and from the region’s beautiful biking trails so they can save their energy for the ride, not the getting there! Charges apply, reservation required. Guests coming on their own cycles can even book our bike transporter for pick-up and drop-off from Caen or St Malo ferry ports. (By arrangement; charges apply). Guests are welcome to use the secure gated car park at the rear of the hotel at no charge, subject to availability: advance reservation essential. 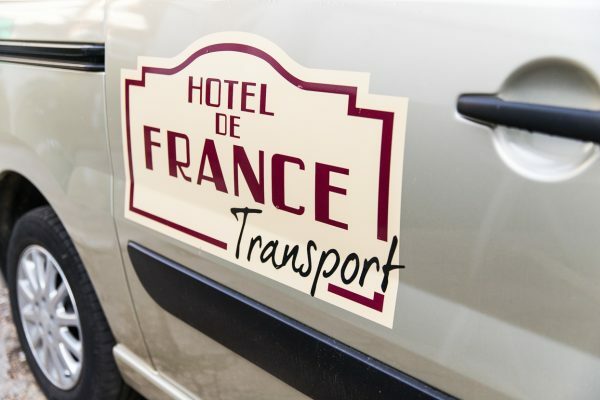 The hotel’s minibus can be booked for airport pick-ups – or for drop-offs and pick-ups for day trips to Tours or Le Mans, subject to availability. Charges apply. While Hotel de France can suggest brilliant days out and places to go to, we do not have a dedicated tour organiser. 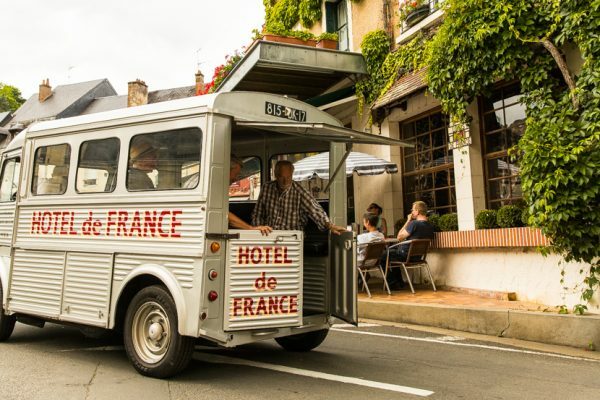 However, if specific wine or chateaux tours or other excursions are required, or for more complex requirements or larger groups our sister company, Classic Grand Touring will be delighted to help. 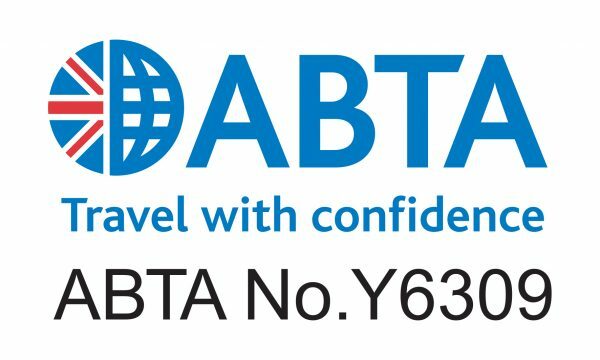 ABTA accredited, they are expert at creating perfect tailor-made packages, dependent upon a client’s wishes and budget. Their knowledge and excellent contacts are second to none. Visit our functions page for further information. Free Wi-Fi is available throughout the hotel. Room service (during meal serving times), laundry and pressing, iron and ironing board loan and shoe cleaning are all available upon request.